Rent Magnolia Hotel Dallas | Corporate Events | Wedding Locations, Event Spaces and Party Venues. 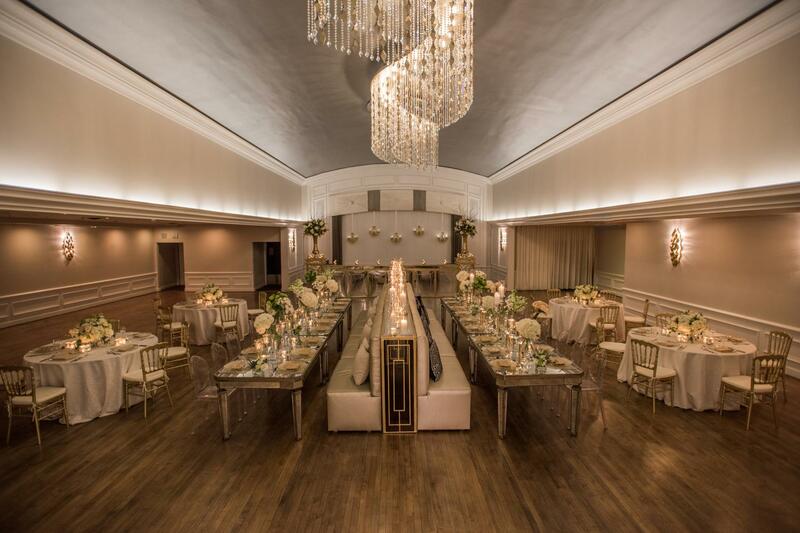 With professional planning services and magnificent event venues, Magnolia Hotel Dallas can deliver any special occasion that may come to mind. Our professional event and party planning experts provide creative suggestions to ensure your wedding, reception, or event is a memorable one. Magnolia Hotel Dallas Downtown is home to the famous Pegasus Flying Red Horse, which illuminates the Dallas skyline at night. The unique downtown hotel combines a rich history with modern boutique decor, making it an unforgettable wedding location in Dallas. Mystical. Modern. Iconic. If you're not familiar with us, let's take a tour together. Swank and sophisticated, the Lounge level features contemporary decor, plush seating arrangements, an intimate library cove with fireplace, and a beautiful mahogany bar. The club level makes a great Dallas wedding venue and comprises just over 4.000 square feet, accommodating up to 250 guests. This wedding venue is ideal for the smaller more intimate Dallas wedding reception, our atrium level features sleek decor and lounge style seating. The atrium level comprises just over 1,500 square feet and can accommodate up to 100 guests.